She would not comment further, and said she isn't conducting interviews right now. Previously, she had said her intention was to remain in caucus and continue to serve as the representative for Vancouver Granville. She told the Vancouver Sun earlier that she had been confirmed as the Liberal candidate in that riding last year. 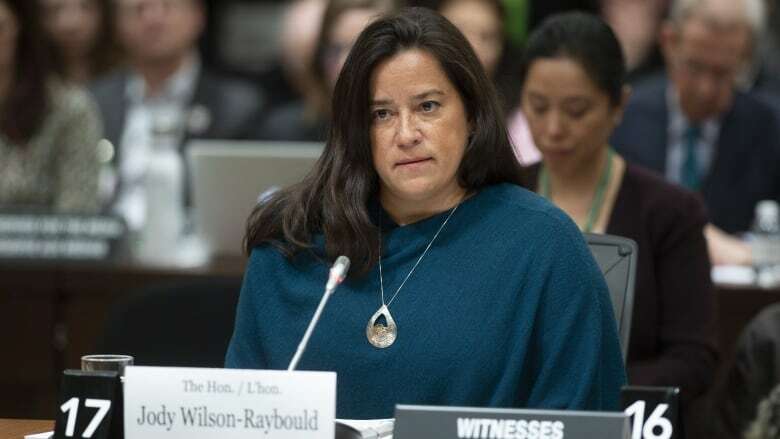 Prime Minister Justin Trudeau has said he is still considering whether Wilson-Raybould can remain in the Liberal caucus after her explosive testimony Wednesday in front of the Commons justice committee, where she confirmed she had faced continuous pressure over four months from high-ranking government officials to interfere in the legal proceedings against Montreal engineering giant SNC-Lavalin. "I haven't yet had the opportunity to review her entire testimony," Trudeau said earlier this week. "I will do that before making any further decisions." The pressure began right at the top, Wilson-Raybould said, starting with Trudeau, his top adviser Gerald Butts and the country's most senior bureaucrat Michael Wernick. All of them have denied doing, saying or counselling her to do anything improper. In the days since, many of Wilson-Raybould's fellow Liberals have been asked how they feel about her continued presence in the caucus. Ministers and MPs alike have said ultimately the decision rests with the prime minister. Conservative Leader Andrew Scheer has asked for Trudeau's resignation and for a police investigation, and NDP Leader Jagmeet Singh has asked for a public inquiry into the matter.